GU10 High Power LED. Available in warm white and cool white LED bulbs. No transformer / LED driver required. 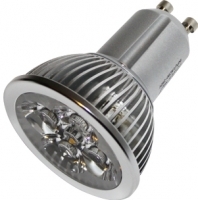 Simply replace any old GU10 bulb.